yup, that’s right, snails! these freshwater mollusks are the ones typically found in the wet markets. 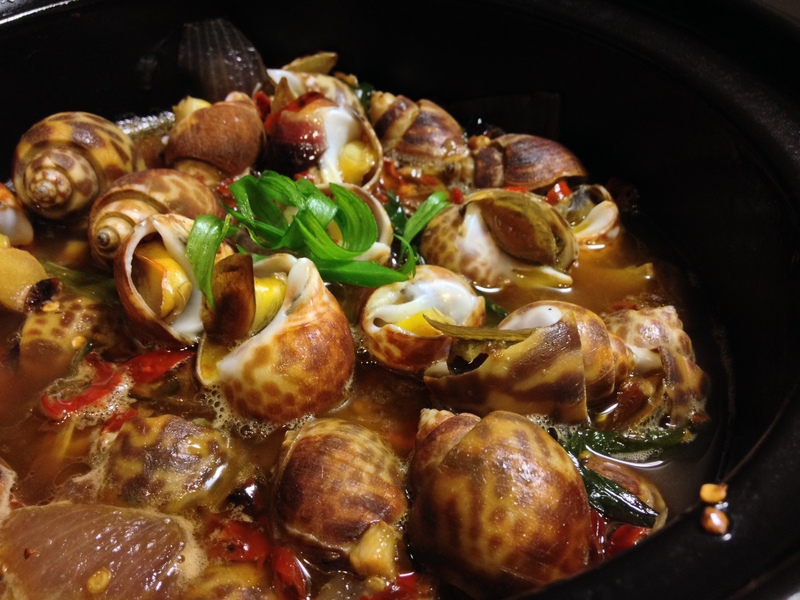 a common cantonese style preparation for snails is stir frying them in a spicy sauce. when cooked, the meat is firm and slightly crunchy… like an abalone or certain parts of a clam. snails can be a bit dirty, so be sure to scrub and soak them in a large bowl of water first, at least an hour. most of the time, there’ll be a slippery algae layer on the outside of the shell. you can use a towel or sponge to wipe each one of them clean. 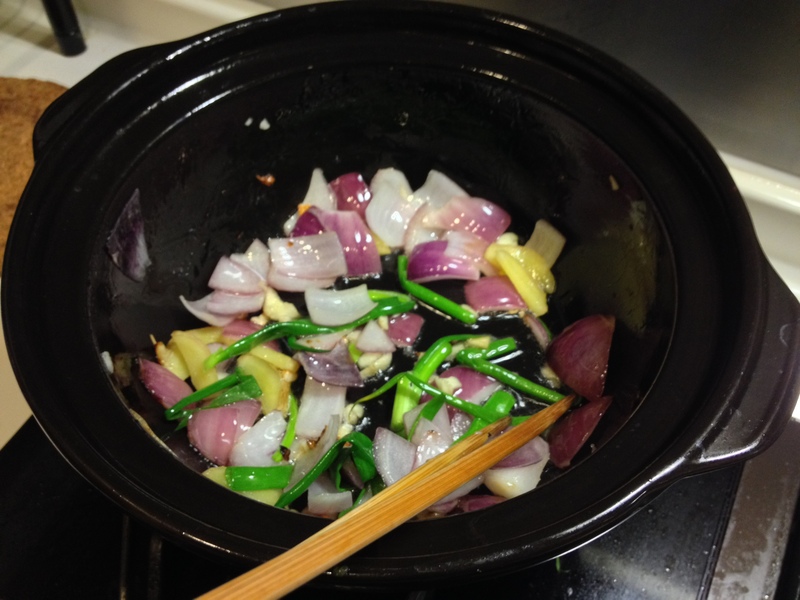 or just do what we did… boil them first to kill the algae. this dish is spicy, so sugar is essential to balance the heat. we are using rock sugar, since its sweetness is lighter. 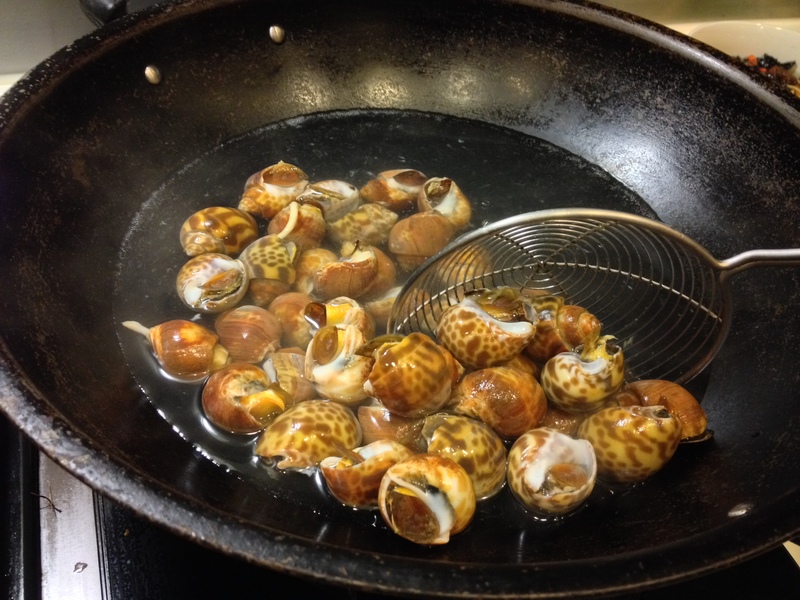 Snails are delicious when they are cooked properly and yours look absolutely fantastic. Reblogged this on Stella YOUNG's Blog.